When I found this lantern slide of a man crossing a stream with his bike in the NYC Department of Archives earlier in the week, noticed a splotch on the jacket. Wondered what that was and then found another version of the photo. Zoomed in and yup, it’s an iPhone. 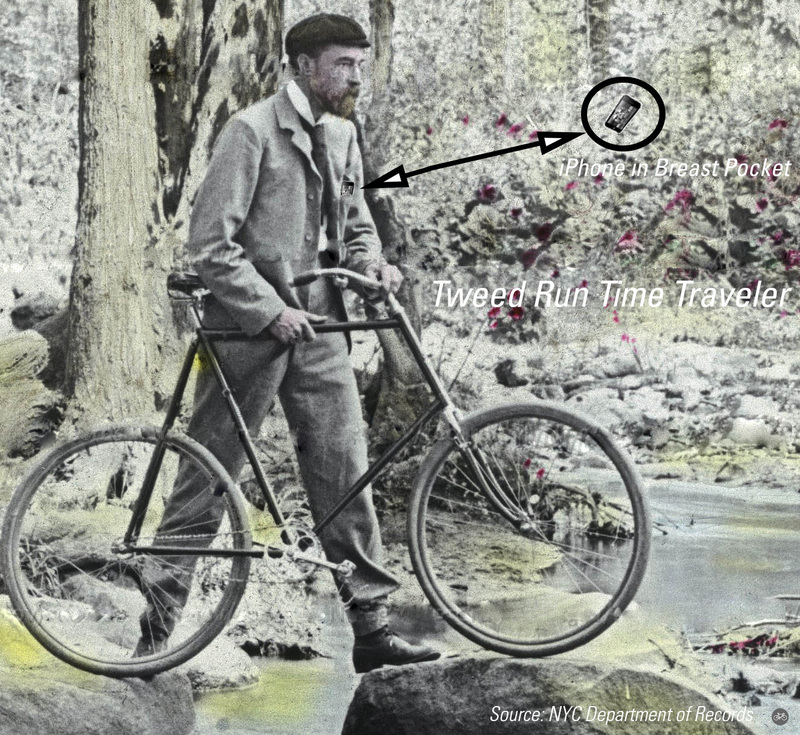 A Tweed Run Time Traveler has been found. View the high-rez image on G+.